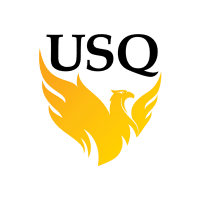 The University of Southern Queensland (USQ) is a young, dynamic university dedicated to providing quality programs and degrees in a flexible and supportive environment. In less than 50 years, USQ has become a prominent teaching and research institution providing education worldwide from three regional locations – Toowoomba, Springfield and Ipswich. We also have an outreach hub located in Stanthorpe, Queensland. With a reputation as one of Australia’s leading providers of on-campus and online programs in Australia and overseas, our focus at USQ is to inspire transformation in the lives of our students. Small classes and personalised attention encourages every USQ student to achieve to the best of their ability.